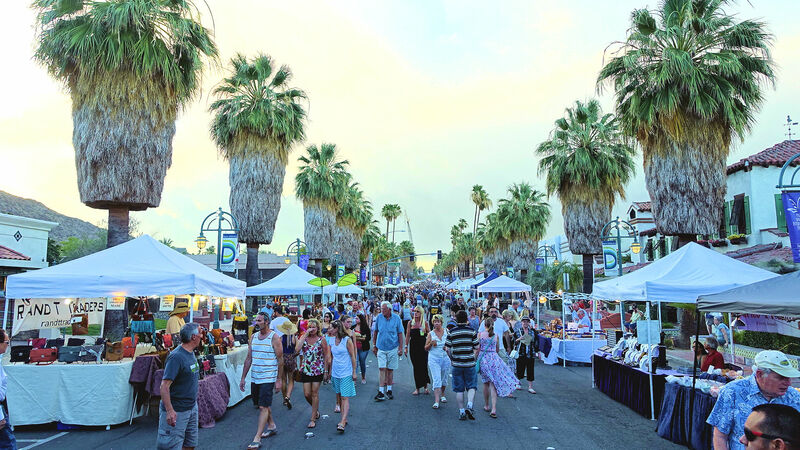 Every Thursday from 6 to 10 PM, Village Fest takes over downtown Palm Springs for an evening of food, entertainment, arts, and more. The streets are lined with over 180 vendors each week, offering a wealth of things to check out during your next desert getaway. You can find the entire vendor directory here, but come hungry for anything from ice cream tacos to homemade tamales. There are also kiosks of antiques and local stores setting up downtown, so you can shop in between your food stops. The weekly event is dog and family friendly, as well. The exact location and details can be found here.